"Blood on the Streets: The Civil War Comes to Jackson County, Missouri, August 1862"
Ralph Monaco's Blood on the Streets: The Civil War Comes to Jackson County, Missouri, August 1862 (Jackson County Historical Society, 2012) is a very brief treatment of the the battles of Independence (August 11) and Lone Jack (August 15-16). 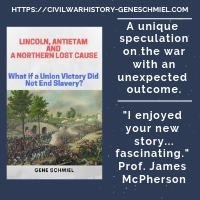 Both clashes occurred during the turbulent 1862 period of sweeping Confederate recruitment operations across Missouri covered so well by Michael Banasik's multi-themed study Embattled Arkansas, and both were Union defeats with little in the way of lasting consequences. One might view these battles as emblematic of the difficulties of retaining Confederate influence in Missouri from 1862 onward, where even impressive tactical victories only led to subsequent evacuation and retreat. At scarcely more than 60 pages of text [the balance of the 102 pages comprising appendices (consisting of O.R. reports), bibliography, and index], the accounts of Independence and Lone Jack are reasonably good but very brief. Well selected photos and drawings are present throughout the book, but no battle maps were included, although an altered reproduction of a later period bird's eye view of Independence provides some perspective. Overall, those familiar with the published literature on both battles will not find anything that builds significantly upon existing works like those of Banasik and Joanne Eakin on Independence and the excellent Lone Jack magazine article written by Kip Lindberg and Matt Matthews. On the other hand, there is nothing really wrong with the book and its accessible brevity and reasonable price should make it attractive to local museum and historical society gift shop patrons. Bogart & Ambrose: "RAILROAD DEFENSES OF THE BLUE GRASS: The Defenses of the Kentucky Central Railroad, Lexington & Frankfort Railroad and Kentucky River during the Civil War (1861-1865)"
Count me among those with a great fondness for books like these. Railroad Defenses of the Blue Grass by Charles Bogart and William Ambrose is not a narrative history, its text instead is directed toward creating patchwork descriptions of the widespread Union defense system devised to protect the army's railroad logistics network in central Kentucky from fast moving Confederate raiders. The book does provide background material, beginning with a brief summary of the Kentucky "neutrality" period, centering on the federal government's establishment of strategically located military camps, but the main focus is on the forts, redoubts, and blockhouses constructed to defend the Kentucky Central, Lexington & Danville, and Lexington & Frankfort railroads. The type and extent of earthworks located at Kentucky River crossings convenient to raiders, like Clay's Ferry and Hickman Bridge, are also described. Wherever possible, contemporary maps showing the locations of these fortifications are included, as are detailed drawings of the blockhouses and earthen fortifications. Reports written by those stationed at these posts, or the officers in charge of their construction [Major J.H. Simpson, Chief Engineer of the Department of the Ohio, is quoted throughout], offer first person insights. While the Union perspective predominates, very brief summaries of various Confederate raids and campaigns that at one time or another directed their attention toward these particular defenses are offered. Appendices A through K comprise nearly half the book. Located here is more background history and information pertaining to the business practices of the three railroad companies mentioned above. Additional maps, photos, and drawings were placed in this section, as well as detailed tables of milepost markings for stations, tunnels, and bridges. The illustrations relating to the Kentucky Central RR are especially useful. Highlights from the rest of the appendices include an extensive collection of military correspondence and information about the Police Guard (a special unit of 26 companies raised specifically to protect the Kentucky Central, and later disbanded with the manpower used to create the 18th Kentucky Volunteer Infantry Regiment). The profusely illustrated guidebook Railroad Defenses of the Blue Grass should appeal to both students of Civil War Kentucky and those interested more generally in the study of fortifications. Also, while the book is not designed as a touring tool, nor does it provide site location data as specific as GPS coordinates, the information and visual aids therein do comprise a useful reference for the outdoor adventurer. 1. Gettysburg: The Graphic History of America's Most Famous Battle and the Turning Point of The Civil War by Wayne Vansant (Zenith Pr, 2013). A full color history of the battle and aftermath, formatted in the popular graphic novel style. 2. A Confederate Englishman: The Civil War Letters of Henry Wemyss Feilden edited by W. Eric Emerson and Karen Stokes (USC Pr, 2013). Feilden was an English officer who resigned and traveled to Charleston, SC with the intent of obtaining a staff position in the Confederate army. He joined Beauregard's military family and even married a local girl, his letters to her comprising A Confederate Englishman. The collected writings, annotated by Emerson and Stokes, recounts his experiences in the department during the war as well as reminiscences penned in the early twentieth century. 3. The Civil War: The Third Year Told by Those Who Lived It edited by Brooks D. Simpson (Library of America, 2013). This is the third (but the first I've seen) of a four volume set of contemporary Civil War writings. Vol. 3 covers January 1863 to March 1864 and "brings together more than 140 contemporary letters, diary entries, speeches, articles, messages, and poems by more than eighty participants and observers." Also, from the publisher description: "Each volume features a detailed chronology of events, biographical notes about the writers, textual and explanatory notes, and original hand-drawn endpaper maps by expert Civil War cartographer Earl McElfresh". University of Nebraska Press announced their acquisition of Virginia-based Potomac Books today. Potomac doesn't do a lot of Civil War publishing, but it is at least a small part of their overall military history catalog so still having it around is a good thing for us. It's fairly common for university presses to handle distribution and marketing for local and regional publishers, but outright purchasing of a small to mid-sized private outfit located as far from home base as possible is a new one for me. The pressures on some UPs (most notably Missouri's) and new debates over the role of academic presses in a rapidly changing publishing landscape have been in the news lately, and maybe this fits into some kind of long term survival strategy for Nebraska. Etulain: "LINCOLN AND OREGON COUNTRY POLITICS IN THE CIVIL WAR ERA"
Richard Etulain is a prominent scholar associated with the study of Abraham Lincoln's connections with the Far West. He recently edited a series of essays under the title Lincoln Looks West: From the Mississippi to the Pacific (SIUP, 2010), and his new narrative history study, Lincoln and Oregon Country Politics in the Civil War Era, draws elements from his earlier work. As one can see from the cover art, the "Oregon Country" referred to in the book comprises the state of Oregon and the territories of Washington, Idaho, and the western part of Montana. One of the main points Etulain wishes to impart to readers is his contention that the citizens of the Oregon Country were far more involved in the Civil War and the issues surrounding it than earlier scholars (including Robert Johannsen) believed. While this is difficult to conclusively demonstrate in a brief, top down political study like this one, one might draw some indirect conclusions. For instance, while Lincoln won the state of Oregon in the 1860 election, he did so with scarcely more than one-third of the vote (with almost two thirds going to the two Democratic tickets). By 1864, Lincoln won an outright majority, showing that many Democrats who opposed the administration on matters of the Emancipation Proclamation, wartime civil liberties, and the draft, nevertheless were willing to support a war for the preservation of the Union. Of course other factors were involved, but, at some level, the political fusion that existed implies a deep investiture in the nation beyond regional concerns. Another major theme of the book is its examination of Lincoln's part in establishing a Republican Party base in the Pacific Northwest, both through maintaining correspondence with politically influential friends residing there and with patronage appointments to state and territorial posts. The four men most closely profiled are Illinois friends David Logan, Dr. Anson Henry, Simeon Francis, and Oregon latecomer Edward Baker. These men didn't always agree with Lincoln on the issues (popular sovereignty being one of the more significant ones) and Logan essentially disappeared from the scene, but, all through the 1850s, they kept Lincoln apprised of the goings on in the region. Baker became a senator, and, during the war years, Dr. Henry (appointed surveyor-general for Washington Territory) was the most active in advising the president on friends and enemies, appointments, and the political situation in general. According to Etulain, where Lincoln fell flat was in his high level patronage appointments at the territorial level. Particularly in Montana and Idaho, a string of territorial governors were so stridently partisan and politically inept that they could not deal with the Democratic majorities that prevailed at the legislative level. Due to this failure, the author describes the territories as administratively unstable throughout the war years. While Lincoln was interested in maintaining communications with the Oregon County in the 1850s, according to Etulain, he became less and less engaged during the Civil War, with his time and energies directed closer to home. This frustrated some of his friends. Dr. Henry dearly wanted the national post of commissioner of the Indian Bureau, and believed he had a right to expect it given his longstanding loyalty and work on Lincoln's behalf, but the president repeatedly rebuffed his requests. The author also characterizes the president as essentially unengaged on the touchy issue of relations with the local Indian population. The actions of chief Democratic figures in antebellum and Civil War Oregon Country, like Senator James Nesmith and Governor Isaac Stevens, are recounted in the text, but I would like to have seen more coverage of how the administration handled or mishandled dissent in the Oregon County during the Civil War. While the draft was not instituted in the Oregon Country and the Republican administration had a friend in the editor of the influential Oregonian newspaper in Portland, Democratic newspapers up the Willamette River were administration critics and several were suppressed during the war. Military appointments in the Oregon County, and how those officers in charge interacted with local government officials and the civilian population, are also only addressed in passing. The final chapter of the book offers a useful historiographical summary of Lincoln's connections with the Oregon Country and how they are recognized today, if at all. In addition to his bibliography, Etulain also includes a very good bibliographical essay. At least in terms of books, the latter is fairly all encompassing, and those interested in further reading will find the essay a good starting point for their efforts. New releases dealing with the Civil War in the Pacific Northwest remain rare, but Lincoln and Oregon Country Politics in the Civil War Era is a fine addition to the existing scholarly literature. It is also gratifying to see Oregon State University Press willing to publish on the subject. Hopefully, others in the region will take note. 1. President Lincoln's Recruiter: General Lorenzo Thomas and the United States Colored Troops in the Civil War by Michael M. Eggleston (McFarland, 2013). A biographical treatment of Adjutant-General Thomas, concentrating both on his efforts at raising black troops during the Civil War and his involvement at the heart of the Johnson impeachment crisis [Thomas was selected by Johnson to replace Stanton as Secretary of War, and his testimony at the trial was controversial]. 2. This Distracted and Anarchical People: New Answers for Old Questions about the Civil War-Era North edited by Andrew L. Slap and Michael T. Smith (Fordham UP, 2013). A compilation of scholarly essays on a variety of subjects, including the Democratic press, masculinity in political culture, secret societies, peace movements, ethnicity in the Union army, black flag warfare, and more. 3. The Goose Creek Bridge: Gateway to Sacred Places by Michael J. Heitzler (Authorhouse, 2012). Goose Creek Bridge is just north of historic Charleston, SC and three chapters are devoted to the Civil War (1) and Reconstruction (2) years. John Fox, the author of great books like Red Clay to Richmond and The Confederate Alamo, will be publishing a history of JEB Stuart's famous ride around the Army of the Potomac during the 1862 Peninsula Campaign. According to the publisher's website, Stuart's Finest Hour: The Ride Around McClellan, June 1862 should be available around the middle of the year. 1. 1863: Lincoln's Pivotal Year edited by Harold Holzer and Sara V. Gabbard (SIU Pr, 2013). From the publisher description: "The ten essays in this book explore the year’s important events and developments, including the response to the signing of the Emancipation Proclamation; the battles of Gettysburg and Vicksburg, and other less-well-known confrontations; the New York City draft riots; several constitutional issues involving the war powers of President Lincoln; and the Gettysburg Address and its continued impact on American thought. 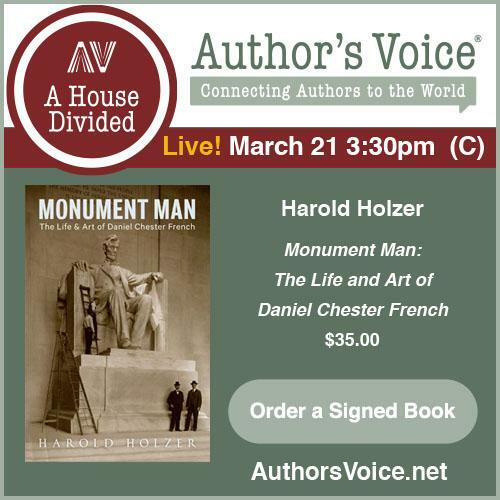 Other topics include the adaptation of photography for war coverage; the critical use of images; the military role of the navy; and Lincoln’s family life during this fiery trial." 2. Blood on the Streets: The Civil War Comes to Jackson County, Missouri, August 1862 by Ralph A. Monaco II (Jackson Cty Hist Soc, 2012). I have a soft spot for little books published by historical societies and museums, but, at only 60+ pages of narrative, this one is a bit short to fit in background information and adequate discussions of a pair of 1862 battles (Independence and Lone Jack). I always look forward to new issues of the free online quarterly journal Civil War Book Review. Better late than never, the Winter 2013 collection of reviews is now available for our perusal. Mowery: "MORGAN'S GREAT RAID: The Remarkable Expedition from Kentucky to Ohio"
A definitive-scale scholarly study of Confederate cavalryman John Hunt Morgan's "Great Raid" through Kentucky, Indiana, and Ohio in July 1863 has yet to be written, but David L. Mowery's Morgan's Great Raid is an excellent overview and one of the most appealing volumes in The History Press's rapidly expanding Civil War Sesquicentennial series. In around 150 pages of narrative, the author follows closely Morgan's route of march and the innumerable battles and skirmishes fought along the way. Additionally, the composition of the contending forces are systematically introduced, from Morgan's own cavalry division of two brigades to the host of Union infantry, cavalry, artillery, militia, and naval formations hastily assembled to intercept and destroy the Confederate raider. Word economy is so skillfully employed to keep the book within the space limitations involved in the series of which is it a part that no element feels particularly rushed. Even the larger fights, like the one late in the raid at Buffington Island, are only described in brief, but enough information about the forces involved, their operational and tactical maneuvers, and the terrain fought over is presented to give readers a good idea of where the fighting occurred, what happened, and why the clashes ended like they did. Immensely aiding comprehension of these events are the 25 maps that accompany the text. The first two trace the entire course of the raid from beginning to end, noting the progress of Morgan as well as up to seven different concurrent Union pursuit paths. The rest cover a host of battles (including Tebbs Bend, Lebanon, Corydon, and Buffington Island) and at least 16 separate skirmishes. Beautiful to behold, the informational value in terms of visualizing landscapes and military movements and positions is just as impressive. The inclusion of so many maps of such high quality immeasurably enhances the understandability of the text. The map set alone is worth the price of the book, and many, like the Corydon maps, are among the best representations of their subject one can find anywhere in the literature. Presumably to enhance its popular appeal, the book is not footnoted. This reduces its scholarly value, but I would tend toward giving the author the benefit of the doubt. The facts of Mowery's background and the depth and breadth of sources listed in the bibliography give off a favorable vibe. The author's more focused expertise really becomes apparent when reading the extended section covering Morgan's time in Ohio. Mowery's intimate involvement in the creation of the John Hunt Morgan Heritage Trail of Ohio and co-authorship of an as yet unpublished guidebook (with the Ohio Historical Society) clearly shines through. To my knowledge, it is the best available mapping and historical description of that portion of the raid. Any cost-benefit analysis of John Hunt Morgan's contributions to the Confederacy's war effort in the western theater will be controversial. For every successful raid hailed by his admirers, his critics can point to a high profile disaster. Mowery is clearly among those holding a generally sunny view of the Kentuckian's service. Although he acknowledges that Morgan was insubordinate [not only did the Kentuckian take more men than authorized, he flagrantly disregarded an order to remain south of the Ohio River and within recall distance] and the Great Raid did, in fact, result in essentially the complete destruction of an entire division of irreplaceable Confederate cavalry, Mowery argues that the balance of raid results (in terms of damage to enemy infrastructure, casualties inflicted, and disruption to Union operations) was positive overall. While it is true that Morgan's raid substantially diverted Ambrose Burnside's attention from his planned invasion of East Tennessee, it was probably less decisive a factor than Mowery suggests in the book, given that Burnside had to wait for the return of the 9th Corps (sent earlier to Grant's siege lines at Vicksburg) anyway before he could begin. Finally, given the comparable highs, and fewer lows, experienced by other Union and Confederate cavalry raiders, elevating Morgan's raiding style to one particularly worthy of study as a progenitor of twentieth century blitzkrieg warfare isn't a terribly persuasive argument. Even so, the undoubted content strengths of the book far outnumber episodes of questionable interpretation. As a history of Morgan's Great Raid in popular narrative form, David Mowery's study is unequaled in the Civil War literature. Even without the preferred scholarly trappings, I am of the opinion that it is the best history of the raid yet published. Not having the size or significance of Lee's Maryland Campaign, Bragg's Kentucky adventure, or Van Dorn's attempt to recapture Corinth, what occurred in the Kanawha Valley sector of the great tide of 1862 summer/fall Confederate offensives is easily the least covered. I don't know when to expect it or which house will publish it [a good guess would be West Virginia Book Co], but a library talk notice online for celebrated West Virginia Civil War author Terry Lowry notes that he has an upcoming book on the subject, titled The Battle of Charleston and the 1862 Kanawha Valley Campaign. I love all of Lowry's books and can't think of a better person to tackle this project. The popular Google Reader will cease to exist on July 1. I guess RSS feed technology is passé already. I've always liked its simplicity and have used it for many years to keep track of all the other CW blogs. If there's a Firefox extension that any of you particularly like, please let me know in the comments section. Thanks. 1. James Buchanan and the Coming of the Civil War ed. by John W. Quist and Michael J. Birkner (Univ of Florida Pr, 2013). From the chapter headings [click on the link above to see the TOC] this promises to be a stimulating conversation about the man and his much maligned presidency. 2. William Gilmore Simms's Unfinished Civil War: Consequences for a Southern Man of Letters edited by David Moltke-Hansen (Univ of SC Pr, 2013). From the publisher: "This collection of essays by historians and literary scholars first explores William Gilmore Simms's antebellum treatment of the role of warfare in America's past and the South's future. The contributors then consider the impact of the secession crisis, the Civil War, and the Confederate defeat on Simms's and other white and black Southerners' perceptions of their much-changed world. Next Simms's life, published writings, and thoughts during the war and its aftermath are examined. Finally Simms's late poetry and fictions, especially explicit and implicit commentaries on the postwar South, are analyzed. His last oration, The Sense of the Beautiful, published shortly before his death in 1870, is the subject of several essays." Hopefully, the editor takes after Moltke the Elder more than his vastly less talented nephew. 3. Mosby's Raids in Civil War Northern Virginia by William S. Connery (The Hist Pr, 2013). A brief summary of the Civil War partisan operations and post war years of the Gray Ghost. Dyson, ed. : "A CIVIL WAR CORRESPONDENT IN NEW ORLEANS: The Journals and Reports of Albert Gaius Hills of the Boston Journal"
Albert G. Hills was a young man from Massachusetts who tried a number of occupations in the antebellum period before settling on journalistic endeavors. A Republican, he took a job as a war correspondent for the Boston Journal newspaper, attached to the army-navy expedition targeting New Orleans. After reporting on the fall of the Crescent City in 1862, he partnered in the operation of a new Unionist newspaper in the city, the Era. Hills even joined the army in 1863, commissioned a lieutenant in the 4th Louisiana Native Guards, only serving three months before resigning and returning to his prior vocation. The three 1861-63 journals that Hills kept comprise the heart of A Civil War Correspondent in New Orleans. Beginning in November 1861, Hill describes the outfitting of the New Orleans expedition and its travels to the Gulf of Mexico. In addition to covering the occupation of Ship Island and the early blockade of the Mississippi River mouth, Hill recounts several side expeditions to the Alabama and Florida coasts. He must have cultivated a vast array of relationships with army and navy officers, as he traveled from the ship to ship (seemingly at will) and was privy to planning at a level disturbing to operational security. The amount of military detail, from top level planning to the roles of individual ships, contained in the diaries and Boston Journal pieces is rather astonishing. There is also commentary on a wide variety of non-military subjects, including interactions with local civilians and slaves, but the greatest value lies in the journalist's military record of events, especially for the naval campaign. While no expert on the sources, I cannot recall any individual writings, especially from a civilian, that approach Hills' broad knowledge and attentiveness. Editor Dyson is to be applauded for both recognizing the value of the journals and organizing them in a useful manner for readers and researchers. In addition to coming up with a short biographical sketch of his subject, Dyson offers useful narrative interludes throughout and effectively transitions between journal entries. Note is made of the numerous places where large sections of the journal entries remain illegible. He also inserts, at appropriate places, Hills's Journal articles, which are polished, professional pieces in sharp contrast to the informal, often jumpy style (two words sentences are common) of the journal entries. As an added treat, Hills's map sketches (a series of seven) of the river engagements fought between New Orleans and Forts St. Phillip and Jackson are also reproduced. Finally, Dyson arranged in the rear of the book, a collection of longer, more descriptive, Boston Journal reports. Again, most of these relate to the 1862 New Orleans campaign. The bibliography is thin and the editor's footnoting is not as extensive as some readers might wish for, but any drawbacks are outweighed by the immense value of the material itself and Dyson's thoughtful and skillful organization of the project. A Civil War Correspondent in New Orleans cannot be recommended highly enough to students of the 1862 campaign that captured the city. In addition to being more cover-to-cover readable than most primary source material compilations, the value of Dyson's discoveries and work to anyone wishing to fulfill the Civil War literature's long standing need of a full, scholarly treatment of the New Orleans Campaign is significant. Though I've never been an admirer of Morgan's generalship, a few review titles arriving in close succession [my review of Morgan's Great Raid: The Remarkable Expedition from Kentucky to Ohio will be posted soon] has renewed thoughts of some under the radar JHM books, at least in contrast to high profile works like Basil Duke's writings and the Ramage and Thomas biographies. One of my favorites is Betty Gorin's "Morgan is Coming! ": Confederate Raiders in the Heartland of Kentucky. It is the best account of Tebb's Bend, and covers many other events surrounding that battle. A 2nd edition was published by Harmony House in 2006. 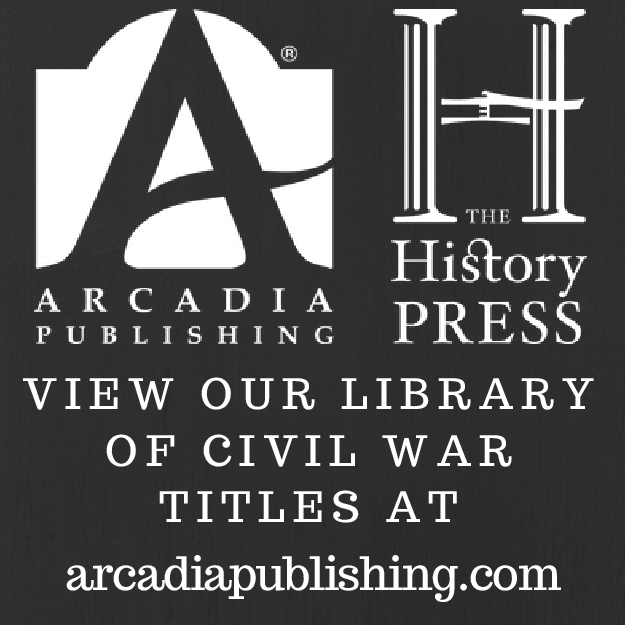 A pair of out of print titles, William Penn's Rattling Spurs and Broad-Brimmed Hats: The Civil War in Cynthiana and Harrison County, Kentucky (Battle Grove Press, 1995) and J.T. Heath's Morgan's Daring Raid: The Battle of Hartsville, Tennessee, December 7, 1862 (Author, 1997) are long out of print and very expensive to obtain, the latter difficult to find period. I've never read Heath's book (I passed up on a eBay bidding war a while back and ILL couldn't even find a copy for me to borrow), but Penn's study is a pretty good history of the 1862 and 1864 battles at Cynthiana. He's at work on a revised edition. A recently published memoir, One of Morgan's Men: Memoirs of Lieutenant John M. Porter of the Ninth Kentucky Cavalry (UP of Kentucky, 2011), has received more attention, and deservedly so. It is the most informative remembrance I've read of a company level officer serving under Morgan, complemented by Kent Masterson Brown's skillful editing. General John Hunt Morgan is one of the most celebrated and controversial Confederate cavalry raiders. To obtain a well rounded picture, it might be useful to divide the "Thunderbolt of the Confederacy"'s Civil War career into two phases: early Morgan (1861-62) and late Morgan (1863-64: he was killed on September 4, 1864). At the beginning, Morgan's relatively small mounted commands conducted a series of raids in Kentucky and Tennessee, doing disproportionate damage to Union garrisons, supply depots, and rail networks. From 1863 onward, he became increasingly reckless and the quality of his ever more undisciplined commands never approached the fine division he utterly wrecked in Ohio during the Great Raid in July. It is the earlier golden period of Morgan that is the subject of Lanny Smith's Morgan's Cavalry 1861-1862. An oversized volume with over 500 pages of narrative, the amount of descriptive detail contained in Morgan's Cavalry 1861-1862 is astounding. The list of raids, skirmishes, and battles covered in the book, and the lengths the author goes to to address them, are exhaustive. Morgan started small, his company entering Confederate service in October 1861. Based at Bowling Green, this initial force grew to three companies and the operations conducted from there (e.g. foraging, attacking enemy pickets, bridge burning, intelligence gathering) presaged what was to come later and at a larger scale. In February, Morgan screened the evacuation of Nashville, frequently clashing with Union forces in the surrounding area. After Shiloh, Morgan was detached and given the freedom to engage in the irregular type operations he did best. He was also promoted to colonel. But all was not victory and glory, and, in a harbinger of things to come, careless security allowed Morgan to be surprised and badly beaten at Lebanon in May 1862. His First Kentucky Raid in July, with its impressive victory at Cynthiana, was a success. It also, mistakenly as it turned out, raised Confederate hopes of obtaining mass public support and recruits in Kentucky. Winning additional laurels at Gallatin and Hartsville Road in Tennessee, Morgan was next ordered to Lexington, Kentucky, where his command was divided. Basil Duke's detachment operated at the front and Morgan himself shadowed the Union garrison that had escaped Cumberland Gap. In December, with Union forces reestablished around Nashville, Morgan achieved one of his greatest military feats, the defeat and surrender of the large enemy garrison at Hartsville. With it came a promotion to brigadier general, and a larger command. The "Christmas Raid" later that month was equally successful, resulting in a large prisoner haul, destruction of vast enemy stores, and the burning of two strategically important railroad trestles at Muldraugh's Hill. Unfortunately, for Morgan, his men, and the western Confederacy, it would be all downhill from there. All of the operations mentioned above, and a host of other smaller raids, aborted missions, and skirmishes, are presented in minute detail in Morgan's Cavalry 1861-1862. The Hartsville and Christmas Raid histories, especially, are presented in essentially book length and scope. Morgan's career progression from guerrilla leader to general commanding an effective cavalry division is ably recounted. The unit organizational histories are equally impressive in their depth. In addressing the additions to Morgan's force at each stage, the Union units opposing them are not neglected. For a Confederate command study, the presentation of Union and Confederate perspectives in the battle narrative is unusually balanced, and the capsule biographies of unit leaders similarly attentive to both sides. Participant accounts are utilized throughout and skillfully woven into the narrative. Although relying foremost on primary sources, the content, unlike Smith's earlier two volume Stones River study, depends almost entirely on published material. The maps, while numerous, mainly trace march routes, with the battlefield drawings more schematic in nature. My most significant concern is with the editing. Quality control problems, especially in the area of proofreading, are common to self-publishing (and, unfortunately, more and more in mainstream publishing!) but the massive number of typographical errors of all kinds in Morgan's Cavalry is doubly unfortunate given how highly I otherwise wish to recommend the book. Morgan's Cavalry 1861-1862 is not for everyone. Readers whose taste range generally does not include micro-scale military historical works can consult a number of useful books and articles, but those that do appreciate such things will find in Smith's tome an unprecedented treatment of John Hunt Morgan's early Civil War career. There is no website associated with the book, but you can contact the author at: lannysmith1861@hotmail.com. Cost is $60 (plus $6 Shipping), payable by Check or Money Order. 1. Protecting the Flank at Gettysburg: The Battles for Brinkerhoff's Ridge and East Cavalry Field, July 2 -3, 1863 by Eric J. Wittenberg (Savas Beatie, 2013). Eric Wittenberg's award winning history of cavalry operations on the Union army's right flank at Gettysburg has been treated to a new revised edition. In addition to detailing the fighting at Brinkerhoff's Ridge, the Rummel farm, and East Cavalry Field, this edition has new appendices, including a driving tour and a refutation of the claim by some writer(s) [i.e. Tom Carhart] that Stuart's July 3rd activities and Pickett's Charge were intended to comprise a coordinated attack on the Union center. 2. Interpreting Sacred Ground: The Rhetoric of National Civil War Parks and Battlefields by J. Christian Spielvogel (Univ of Ala Pr, 2013). This book analyzes how public history (via museums, visitor centers, photography, wayside exhibits, etc.) is presented at a trio of national parks and battlefields (Gettysburg, Harpers Ferry, and Cold Harbor). Regular readers know that I have a fondness for touring guides and atlases, and I recently had the opportunity to glance through an advanced copy of Reardon & Vossler's A Field Guide to Gettysburg: Experiencing the Battlefield through Its History, Places, and People (UNC, July 2013). It's a bit unusual in that it's very text heavy over more than 400 smallish print pages. There are lots of orientation confirming photos and battle maps, but initial impressions are that the depth of documented history sets it apart from other guidebooks. Each of 35 stops tells readers what happened there, what units and casualties were involved, who was in command, and what was the extent of the civilian presence. The historiography associated with each stop is perhaps the most original section devised. It's a lot to take in, and, even though the book is designed to be readily broken down into multi-day chunks, those looking for a single afternoon length tour might best stick with something like the volume from the Nebraska series. With all the recent vista altering work being done at the park, all the guides will have to be revised at some point, but this one is presumably up to date. Brasseaux (ed./trans.) & Mooney (ed. ): "RUINED BY THIS MISERABLE WAR: The Dispatches of Charles Prosper Fauconnet, a French Diplomat in New Orleans, 1863-1868"
According to the editors of Ruined by This Miserable War: The Dispatches of Charles Prosper Fauconnet, a French Diplomat in New Orleans, 1863-1868, the papers of Charles P. Fauconnet comprise the most important Trans-Mississippi and western theater primary source discovery of the past decade. Exaggeration or not, there's no denying the dispatches comprise a highly worthwhile foreign perspective on Civil War personalities and military, political, and social events. In 1863, Fauconnet replaced a New Orleans French consul deemed by Union general Benjamin Butler to be too pro-Confederate. Having spent many years in Deep South diplomatic postings, Fauconnet himself sympathized with the southern population, but had the common sense to not do so as overtly as his predecessor. 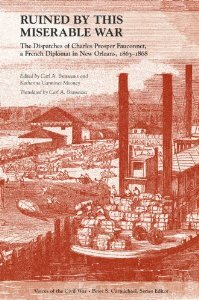 With New Orleans being one of the most multinational major cities in North America at the time, editors Brasseaux and Mooney are correct to note that the views of foreign diplomats residing there comprise an especially valuable period perspective. Fauconnet's experiences and views becomes even greater in historiographical importance with the realization that any American campaign of intervention in French puppet Mexico, during or after the Civil War, will have had New Orleans as a major jumping off point. Fauconnet's dispatches to his superiors begin with his impressions of the impact of the Emancipation Proclamation on New Orleans business, politics, and social order. He lamented what he thought to be unwarranted attacks on the property rights of locals, but keenly recognized that the institution of slavery within Union held enclaves not subject to emancipation was doomed regardless of ostensible legal protections. But he could be equally frustrated with Confederate government highhandedness, especially in the arena of attempted conscription of foreign aliens. Outright impressment and coerced enlistment of free blacks and slaves in the Union army is also discussed, and Fauconnet feared both the economic consequences and the possibility of social unrest stemming from the inflammatory actions and language of recruiters. He noted that the year's sugar crop was already doomed due to widespread disruption of labor, and, given that the well being of business enterprises run by French nationals was obviously a major official concern, Fauconnet sought to pressure Union military authorities to abandon policies that adversely affected the economy. Another major element of the dispatches relates to the post-slavery labor arrangements between property owners and workers. Fauconnet details these employment provisions, noting the advantages and disadvantages to ex-slave and planter alike, his main concern being getting the Louisiana economy back up and running. His writings offer readers a far dimmer picture of the Union administration of New Orleans than recent scholarship has proposed. According to Fauconnet, Union authorities, through measures like ending the teaching of French in local schools, also sought to curtail French cultural influence in New Orleans. Alleged mistreatment of French-speaking citizens and residents was a touchy issue with him, and he often laments the Americanization of the region. As stated before, the intentions of the U.S. government toward the internal conflict that raged in Imperial Mexico was another issue of great importance to French officials. Fauconnet frequently sought clues through direct and indirect communications with Union generals, and his writings generally indicate little fear that the U.S. would actually invade Mexico to oust the Maximilian regime. The preponderance of dispatches collected in the volume were sent between 1863 and 1865, with a small number for 1868. Most of the latter discuss the national election that would take place that year, but other issues like racial violence in New Orleans is also noted [since no dispatches from 1866 are present in the collection, no perspective on the infamous race riot from that year can be found]. Here again, Fauconnet is loath to share the sympathy he has for the social and political grievances of ex-Confederates with those of the newly freed black population. Complaints about the book are few and minor. Arranging the dispatches by theme rather than by date within each year is reasonable, but the constant jumping forward and back in time was often distracting. Also, while the endnotes are satisfactory in their extent (especially in terms of background information on individuals mentioned in the text), there is no bibliography. The international dimensions of the Civil War have received an increased amount of attention in recent years (in 2011, we even saw a book length study of Spain's relationship with both American Civil War antagonists), and the diplomatic dispatches of C.P. Fauconnet clearly comprise an important primary source for scholars to evaluate. In them, Fauconnet offers a thoughtful foreign perspective on essentially all the major domestic matters that were the subject of such heated debate during and after the war -- from campaigns and battles to issues of citizenship, property confiscation, martial law, civil rights, trade restrictions, evolving labor relations, and Reconstruction. Such a broad range of hot topic subject matter is addressed in Ruined by this Miserable War that there are few Civil War related sub-disciplines that could not usefully employ its content.